Happy Monday everyone! This is just going to be a really short one today, as I have a million and one things to do, and not enough time to do it in! 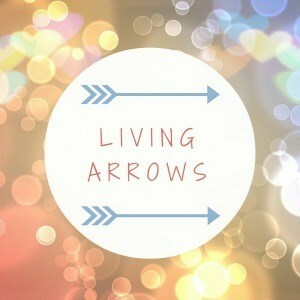 So I’m going to jump right in and start wittering on about this weeks Living Arrows post! I don’t know whether it’s baby brain, old age, a crap memory or what, but am I the only one that struggles to remember what they’ve done the previous week if they haven’t taken any photos!! I always look back on my photos on a Sunday night to remind myself what we’ve been up to, and also to give me a few ideas for my Living Arrows post. But if there aren’t any photos, or no useful ones (shopping lists and electric meter readings aren’t too helpful for blog posts!!) then I honestly have no idea what we’ve done!! Over the weekend we headed up to Yorkshire, where we had a flying visit (thanks to bad traffic) to Isla’s godfather in Sheffield on the Friday night. On Saturday we then popped over to Barnsley where we stayed with my friends from uni. It was great to catch up with Kelly and Sam, and their families. I hate that I never see them enough, but busy lives and several hundred miles of crappy traffic get in the way. On Sunday it was the Christening of Kelly’s gorgeous daughter. It was a great weekend, and just a shame that Katy lives in Australia and so couldn’t join us for a proper BRB’s weekend. This weeks Living Arrows post is a collage of photos I took of Isla earlier in the week. She has really started playing with her dolly recently. She was given it for her birthday by Chris’ aunty. 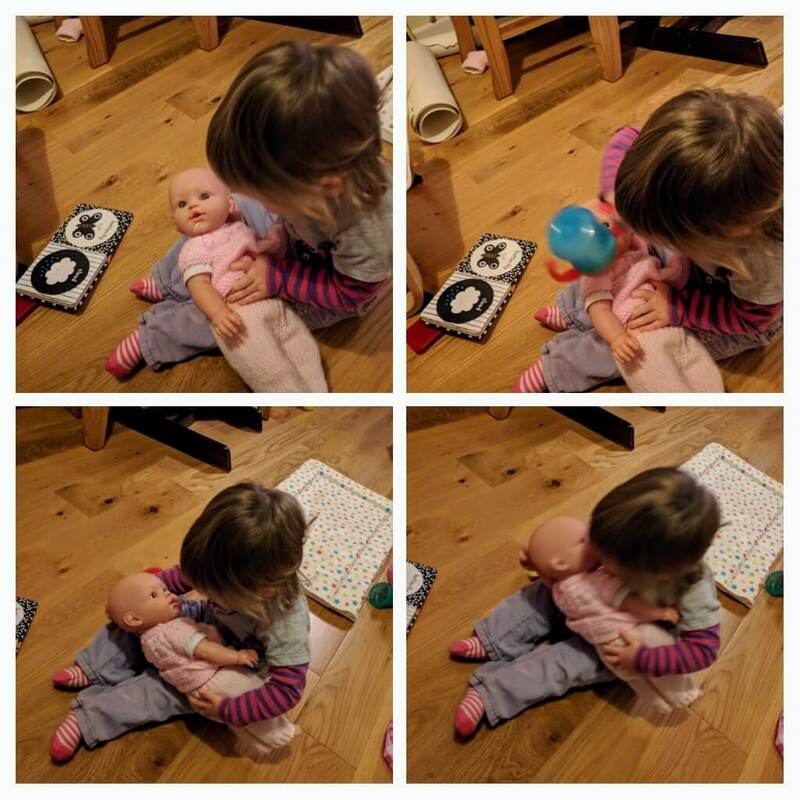 Isla now puts dolly in it’s cot, strokes it and says ‘sssss, sssss’ trying to get dolly to sleep. It melts my heart!! Isla has also started to pay an interest in feeding dolly. 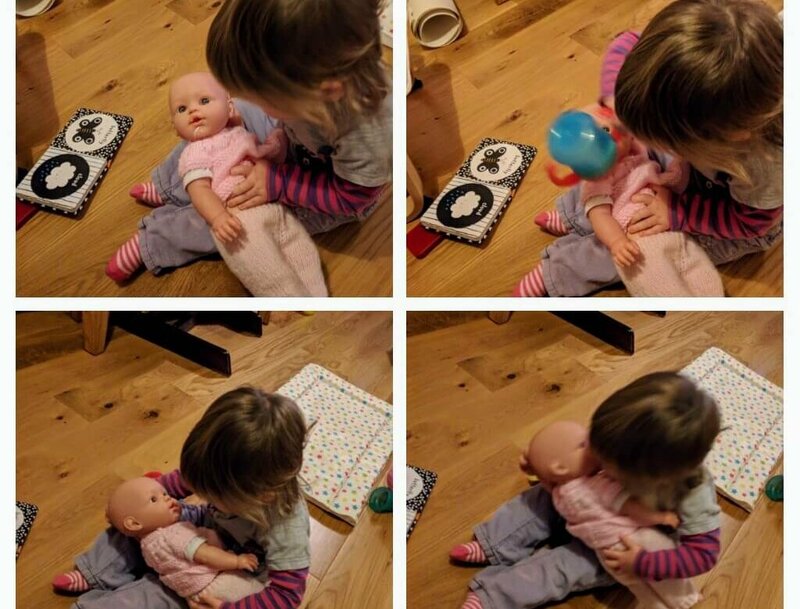 In these photos she is giving dolly some milk (yes, actual milk!) which ends up going all over dolly’s face! Followed my an ‘uh oh’ and then licks it off dolly’s face!! I couldn’t stop laughing while watching her do this. It is so wonderful watching Isla start to properly play with her toys, and use her imagination. I can’t wait to see what else she comes up with. She is growing up so quickly! Anyway, as I said, this is short and sweet. My parents are stopping by tomorrow so the house needs a blitz, because, as it always does, it looks like a bomb has hit it! !